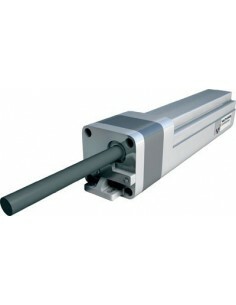 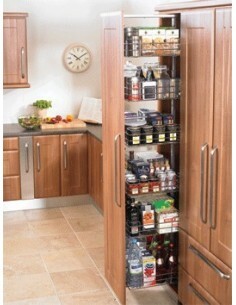 Power Move Electric Motor For Use With Vauth Sagel Tall Pull Out Larder Units. 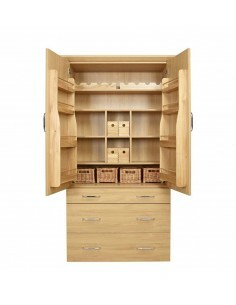 Can be retro fitted. Electric Opening Larders! 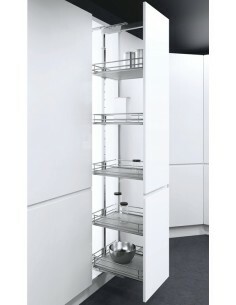 H1600mm To 2000mm. 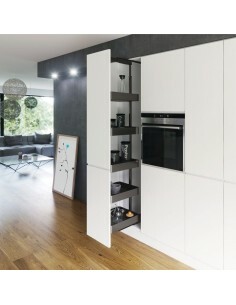 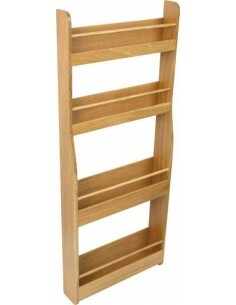 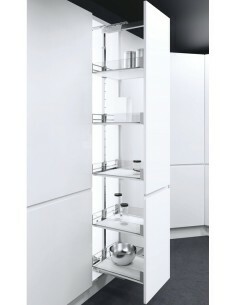 300mm Tall Kitchen Larder Pull Out. 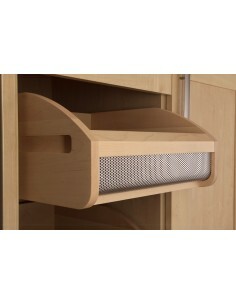 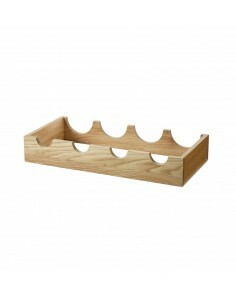 Adjustable Includes X5 Solid Base White Baskets, Soft Closing Full Extension Runners. 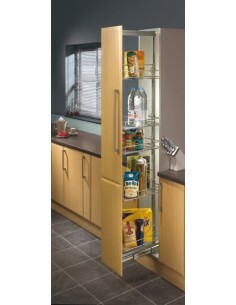 Height Choices 1200 to 2150mm, Four Various Sizes. 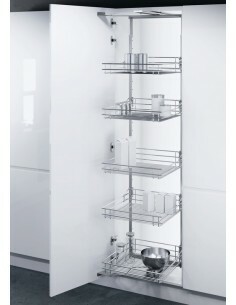 H1950-2200mm, Five Adjustable Chrome Linear Baskets With Mounting Frame, Centre Mounting. 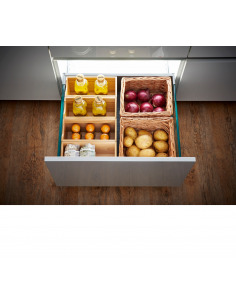 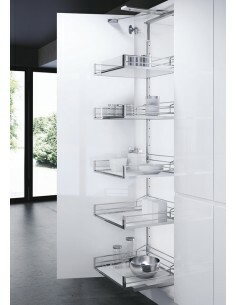 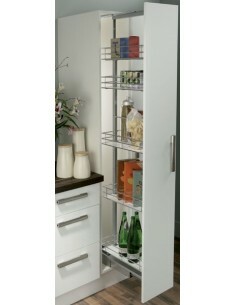 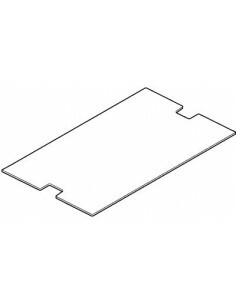 1700-1950mm or 1900-2140mm, 500mm Vauth Sagel HSA Swing out larder with Artline glass/chrome baskets.